World’s longest bridge in China: Is it safe? 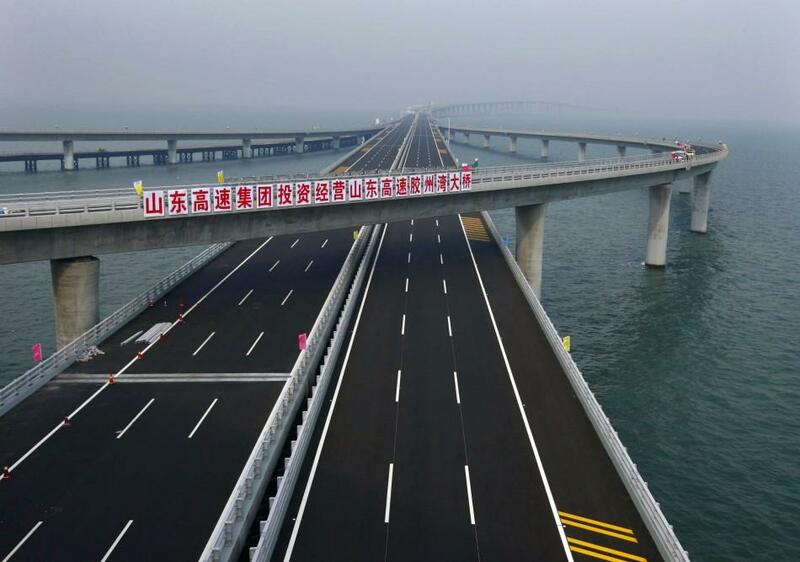 The world’s longest bridge that links Qingdao City in east China to the island of Huangdao has raised questions over the safety issues. In the rush to complete the construction before its formal opening on June 30, it is alleged that some important work on the bridge was left incomplete. 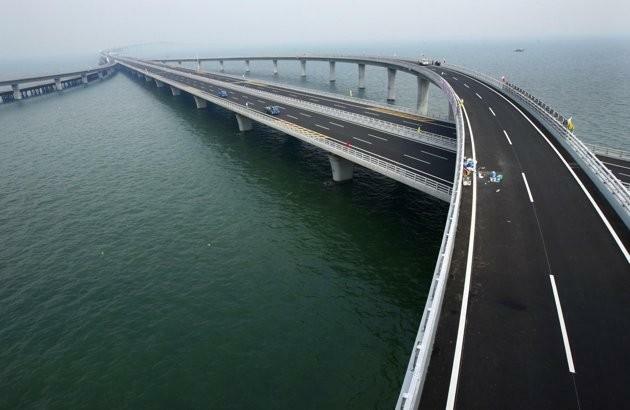 Several gaps were found in the crash barriers on the 42.5 kilometer Jiaozhou Bay Bridge, while bolts inserted to fasten the barriers were found to be loose or uncovered, the Shanghai Daily reported on Monday. Around 18,000 cars cross the bridge daily since its opening. CCTV reported that workers were tightening bolts that could easily have been loosened by hand on the bridge. “We didn't have enough time to install all the safety barriers and to fix the bolts before the bridge's opening. The bridge's lighting system are also not installed,” a worker told CCTV. The $2.3 billion bridge is built to withstand earthquakes and typhoons. It could also save the drive time from 40 to 20 minutes between the two destinations. 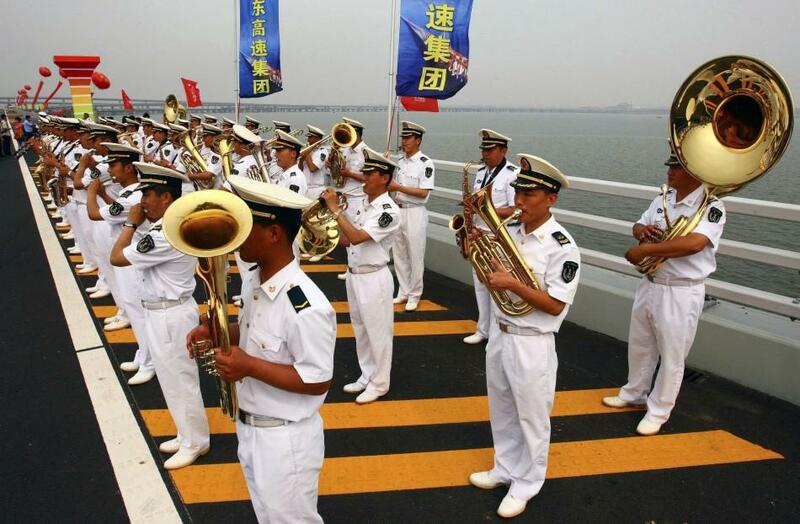 The Shandong High-speed Group Co, which funded the project, however, said some barriers and bolts had been removed by workers to adjust wiring, which was normal practice after a bridge is opened to traffic, Jiaodong.net reported on Monday. It took four-and-a-half years to build the bridge. The bridge took the world's longest title from the 38.35 kilometer Lake Pontchartrain Causeway in the United States.